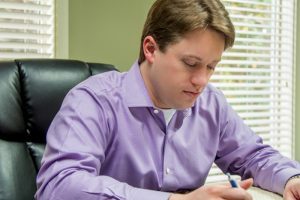 Dog Bite Attorney in Hilton Head Island, with years of experience providing Hilton Head Island and Bluffton with Dog Bite victim representation. 1-800-996-0683. Ready for your free dog bite case evaluation? Contact our Hilton Head Island, SC dog bite injury law firm today at 1-800-996-0683. Families in Hilton Head Island, Bluffton, Beaufort, and the South Carolina Low Country can rely on our years of experience in dog bite cases. If you, your child, or loved one have suffered injuries due to being bitten or attacked by a dog in South Carolina, we may be able to assist you in seeking compensation for the injuries suffered. Choosing how to proceed can be a difficult decision. You may have questions such as, do I need a lawyer to help me with my South Carolina dog bite case, or is there a way to get compensation for my injuries or my child’s injuries without “suing” the responsible party? We have created this page as a starting point in your journey. Please take a look around our site and get to know us and the services we offer. We know you have a lot of stress and unanswered questions – as such, we offer confidential and complimentary (absolutely free) dog bite case consultations for South Carolina dog bite injuries. We will accommodate you for this consultation – we can speak by telephone, we can meet in an office setting, or we can even come to you. Please let us know if we may assist you in any way! Our local telephone number is 1-843-474-0614 (Please Dial “1” First) and our toll-free number is 1-800-996-0683. Why should I consult with or hire a lawyer at all for my South Carolina Dog Bite Matter? This is an excellent question. Many past and current clients were simply unaware of or unfamiliar with South Carolina dog bite laws. Some may not understand the types of damages that may be recoverable in dog bite cases. Perhaps most importantly, we have simply seen too many good people try to resolve dog bite cases on their own who are often at an extreme disadvantage when dealing with insurance company adjusters and other insurance company representatives – while we cannot guarantee any particular outcome, we have been able to secure past settlements many times in excess of what insurance companies originally offered clients. Insurance companies and their adjusters are looking to maximize their own profits by paying out as little as possible in claims – they are looking out for the interests of the liable party and their own company. Hiring a lawyer to assist you with your South Carolina dog bite matter arms you with the support and skills of a trained advocate looking out for your interests and seeking to ensure that you are fairly compensated for your injuries or your child’s injuries. If you attempt to pursue a dog bite claim yourself, you are placing yourself in the position of the prosecutor. Simply put, we handle South Carolina dog bite cases for a living and are trained with the skills and knowledge of the law necessary to fight for and represent your interests. Hiring a lawyer for a dog bite case may be less stressful for the client and can often yield better results. Will I have to pay a large retainer or hourly rate to hire your firm for my dog bite matter? At Lee Law Firm, LLC, we handle South Carolina dog bite cases on a contingency fee basis, instead of an hourly fee basis or other payment setup. That sounds great, but what does it mean? “Contingency Fee Basis” means that for those dog bite cases we accept, we do not require any up-front money from our clients and we get paid a percentage of what we are able to secure via settlement or trial – if we do not recover for you, you will not have to pay for our time spent working on your case. Contingency fee agreements in South Carolina must be in writing – should we choose to work together to pursue your dog bite matter, we will present you with an agreement setting forth exactly how much our fee would be upon recovery, and answer any questions you may have about the agreement. As written above, we also offer a complimentary consultation for South Carolina dog bite matters – in other words, it does not cost you anything to speak with a licensed South Carolina attorney to determine whether or not we may be able to assist you in your dog bite matter. Please simply contact us via telephone at 1-843-474-0614 or toll-free at 1-800-996-0683 to setup a telephone consultation or an in-person meeting – we can meet in a formal office setting or even come to you if more convenient. What exactly might be recoverable due to the injuries my child or I suffered due to a South Carolina dog bite? Every South Carolina dog bite case is unique as every victim’s injuries and “damages” are unique. As such, though there is no general rule that determines the amount a child or adult victim of a dog bite may recover, there are certain forms of compensation that we will evaluate on your behalf, including: medical treatment (such as first aid, hospital visits, ambulance expenses, future physical therapy and pain management); psychological counseling (many victims of South Carolina dog bites legitimately deal with emotional trauma caused by the attack that needs to be addressed); medications; pain and suffering; loss of income or earnings from work (or loss of profits as applicable); and other such damages. Dog bites can cause injuries ranging from minor skin breaks resulting in scarring up to and including wounds requiring multiple surgeries to address muscle, nerve, and tissue damage. We would be honored to speak with you to discuss your options moving forward. If I hire your firm to assist me with my South Carolina dog bite matter, will I have to testify at Court or will you definitely file a lawsuit against my neighbor/friend/the responsible party? The great majority of dog bite cases settle out of court, without a trial. Hiring a South Carolina dog bite lawyer to represent your interests is not the same thing as suing. We know how to present a case to an insurance company such that matters are often resolved favorably without filing a lawsuit and without going to trial. If the insurance company is unwilling to offer an amount that you, as the client, ultimately deem acceptable (we will certainly counsel you on your options and risks at the appropriate time), we are experienced in taking matters to trial in an effort to secure favorable results for our clients. Hiring an experienced South Carolina dog bite lawyer can often result in a claim that is handled more quickly and efficiently than handling the matter on your own. Hiring a licensed and experienced South Carolina attorney to represent you in your dog bite matter also shows the insurance company that you take your matter seriously – we will certainly take your matter seriously if retained. What types of clients do you represent in South Carolina dog bite cases? Due to confidentiality rules, we cannot discuss the details of past cases and identifying client information. With this in mind (we will also not be publishing your case details if we work with you), our firm represents those who suffer serious injuries as the result of dog bites while in South Carolina. This may be someone performing job duties who is attacked without provocation by a dog not properly trained or controlled, an individual simply strolling down a bike/walking path when an unleashed dog attacks the person or the person’s child, or other such scenario. While we are actually quite fond of dogs, dogs that are not properly trained or restrained may cause serious injuries to children and adults – when this occurs, we are here to ensure that you are able to secure fair compensation for damages suffered. I have more questions regarding my case that are not addressed at all or not addressed fully on your website. How may I contact an attorney at your firm? This site is not meant to give case specific legal advice, as each case is unique. Hopefully this site has given you additional information regarding dog bite cases in South Carolina, and an introduction about what a South Carolina dog bite attorney can do to assist you or your child. If you have additional questions, would like to discuss your particular case facts, or are interested in working with us, please contact us at 1-843-474-0614 or toll-free at 1-800-996-0683. Please ask to speak with or to setup a consultation with an attorney regarding your matter. While paralegals and staff are highly trained at our firm, they cannot give legal advice. Contact our dog bite case law office in Hilton Head Island, South Carolina for the effective representation you need and deserve to resolve your legal issues. 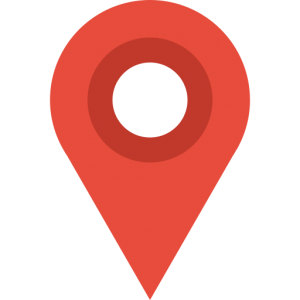 With a primary office in Hilton Head Island, South Carolina, and additional meeting space locations throughout South Carolina, Lee Law Firm, LLC, is able to help you through the process of dealing with your dog bite claim. Please contact us with your legal concerns by telephone. With our services at your disposal, you can rest assured that your legal issues will be dealt with timely and effectively, and handled by an experienced professional. We at Lee Law Firm, LLC are here to help you and your family following a South Carolina dog bite incident. Contact our team and experienced Hilton Head Island dog bite attorney right away at 1-800-996-0683 for assistance after a dog bite incident.